The 2017 Honda Ridgeline is now in stock at Brilliance Honda of Crystal Lake. This brand new midsize pickup offers efficiency and versatility for drivers in the Chicagoland and Elgin areas. Find out more about the most affordable version of this versatile truck, the RT trim level, here at Brilliance Honda of Crystal Lake. Under the hood of the Ridgeline RT you’ll find a powerful 3.5L V6 that cranks out 280 hp and 262 lb-ft of torque. Standard on the RT is front wheel drive, and all-wheel drive is available as an option. The front-wheel drive Ridgeline achieves an EPA estimate of 19 mpg city/26 mpg highway/22 mpg combined with the standard six-speed automatic transmission*, while the all-wheel drive version achieves up to 18 mpg city/25 mpg highway/21 mpg combined in EPA estimates*. The AWD Ridgeline is able to haul 1,584 pounds in the bed, and the AWD model can also pull up to 5,000 pounds with proper towing equipment. The Ridgeline RT is the least expensive model of the line, but it still provides a variety of safety features. Standard equipment in the Honda Ridgeline includes a rearview camera, anti-lock disc brakes, stability and traction control, and multiple airbags. 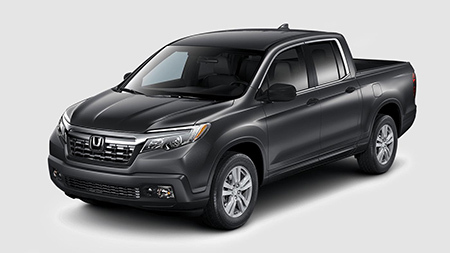 If you want to get behind the wheel of the latest Honda Ridgeline, then all you have to do is stop by Brilliance Honda of Crystal Lake at 680 W. Terra Cotta Rd. in Crystal Lake, IL. We’re happy to help you find the right Ridgeline to fit your needs and your budget today!